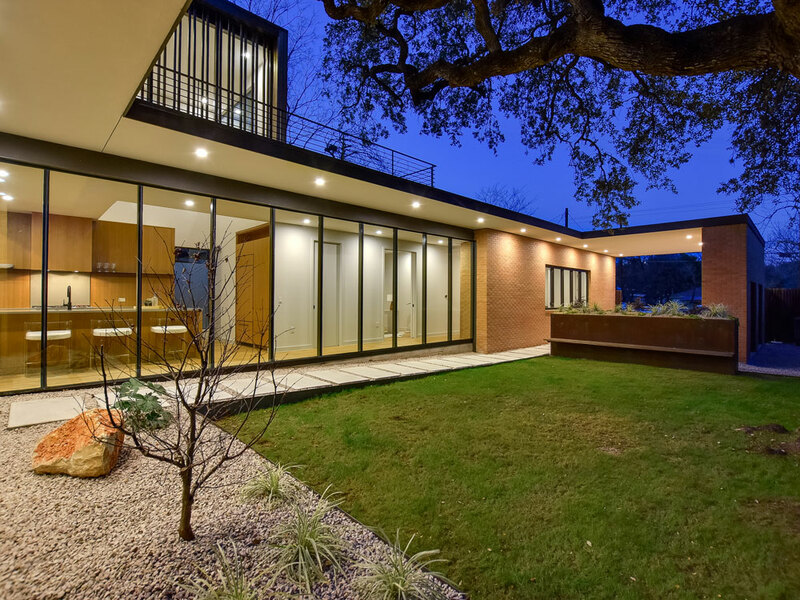 This exquisite MCM-inspired modern home was developed by Beatrice Holdings, LLC in conjunction with returning Austin Modern Home Tour featured participants North Arrow Studio and Abode Homes. 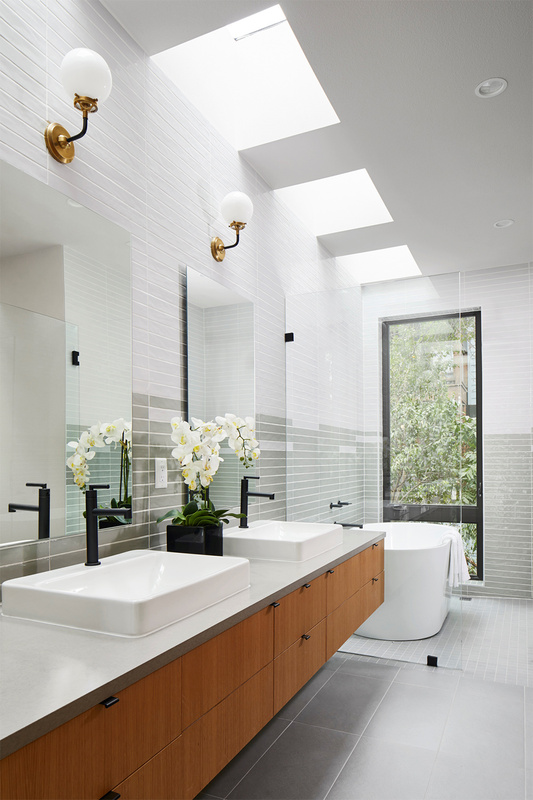 Stucco soffits, quartz countertops, European white oak floors, and rift sawn oak cabinets embody modern luxury, while beautiful custom brick ordered from New York City echoes the mid-century aesthetic. 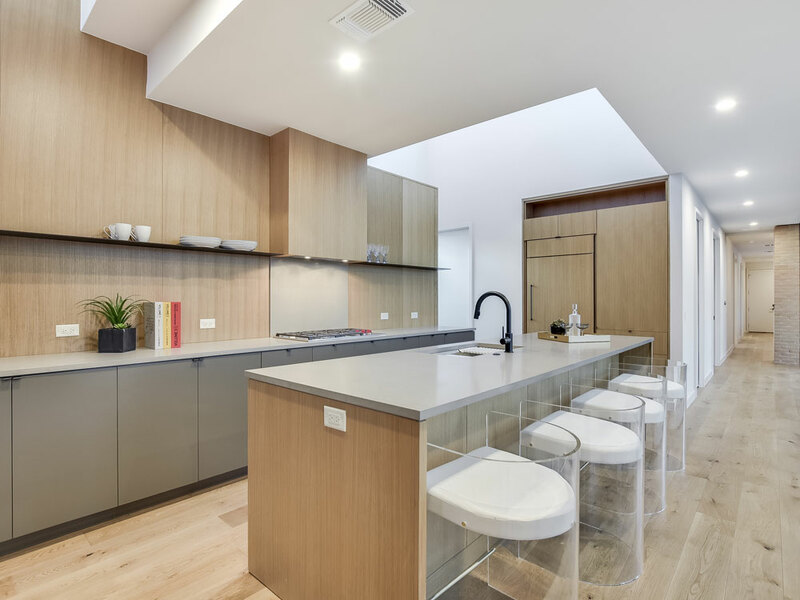 The kitchen features custom cabinetry, Wolf cook top and Sub-Zero refrigeration, while the master bathroom serves as the owner’s private retreat and features Brizo plumbing fixtures, Calcutta marble bathroom countertops, and a soaking tub. With over fifty linear feet of floor to ceiling glass, this home has ample natural light throughout. 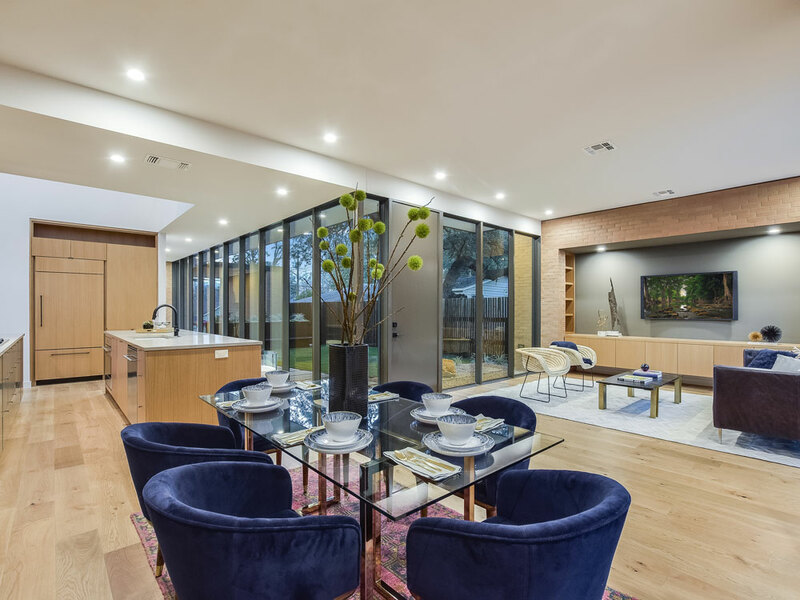 Located within the heart of the city, this home is a short walk to the many restaurants this city has to offer, as well as Lady Bird Lake. Designed with entertaining in mind, multiple outdoor livings areas including a rooftop balcony with views of downtown are highlights, and a separate entrance allows house guests to come and go with ease.